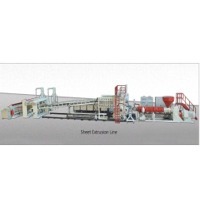 Pet Flake Granulation Line by Zhangjiagang Lianguan Recycling Science Technology Co., Ltd.. Supplier from China. Product Id 611780. Zhangjiagang Lianguan Recycling Science Technology Co., Ltd.
PET/PE Washing Lines Thanks to the experience acquired year by year in the markets of competence, JP offers itself as your partner for forefront solutions in the plastic recycling field, increasing the value of the waste materials. JP understands the needs of the customer for a throughout Quality compliance with the addition of high output and cost efficient machinery. Ranging from a tiny bolt to the final finished product everything undergoes strict compliance policy. 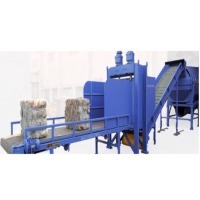 Our customers rely on our quality product for fast and punctual delivery, reliably easy operation, systems, machines and services and their long life-time even with intensive usage of the machines. We at JP offer the most economical machine configuration with optimal connection for further processing systems and maximum quality through in-depth requirement analysis and exact target specifications. 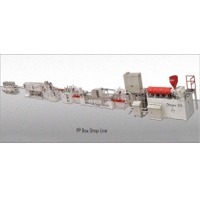 JP INDUSTRIES introduces a line capable of sorting, grinding, washing and cleaning with drying post consumer plastic waste. The end use of the plastic waste is supposed to be either in the field of injection molding textile fiber, monofilament or sheet with different thickness for thermoforming. The complete line is for an accurate clearing of plastic material especially suited for LLDPE, LDPE, HDPE, PP, PET, PC. JP’s washing line is built with the best materials for less wearing of the bodies of the machine and consequentially less maintenance and less lost in time. Also, the experience of JP has developed a system that is matching the European standard but with a better price. JP’s engineering department can give to their customers the support on finding also a customized solution because JP Industries know that every country has his own traditions and his own post consumer material to treat. For this, we will be glad to give you the right solution for your business. KingKong Plastic Machinery Co., Ltd. Feature: This line produces PET sheet for formed packaging of a huge range of items such as toys, stationery, paneling, logo plates, arts and crafts, etc.. Special screw structure design to ensure plasticizing efficiency without any spots; No special dry require, can do 100% recycle material Compatible with PET, APET, PETG, CPET mixing; Quantative bar to ensure continued and stable output Filter changing without shut down On line silicon oil and destatic device available Super color touching screen, friendly user interface and easy to operate; Adopt BECKHOFF Industry computer bus system and windows XP2 system with excellent alert system. Specifications: Item	Description Materials	PET, APET, PETG, CPET Main Motor power	132kw ,185kw Output product width	500-1200mm; 800-2200mm Output product thickness	0.15-2mm Line speed	5-25m/min; 5-18m/min Capacity	450kg/h; 650kg/h. Wooden case linked with bubble bag or as your requested. Size of m/c------75 mm Production-------100 k.G/hour Raw material-----100% pet bottle fleack Roll winding size-----16" core . 130'*5'. Search More Like "Pet Flake Granulation Line"